A great way to build a closer connection with your customers is to have a social media account. If you are looking to grow a social media audience, you may be interested in getting Twitter for a business. A Twitter account allows you to respond to customer-support questions, address technical issues, and build a relationship between your brand and your prospective consumers. Twitter is also a great tool for sharing announcements, retweeting positive feedback from Twitter followers, and sharing relevant or interesting content. 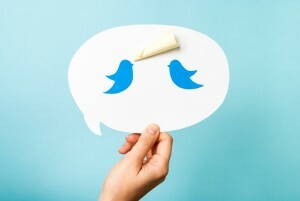 Here are some helpful Twitter marketing tips for your business account. It can be a challenge to get your corporate Twitter account noticed amongst the millions of social media accounts and conversations happening every day. You can target your audience and grab their attention by establishing a brand profile and constantly publishing content relevant to your followers. You should build a routine that helps your followers learn what to expect from your account, and when. Users on social media tend to unfollow inactive accounts, so be sure to post frequently. Building trust among your followers is very difficult, if not impossible, if you cannot commit to a regular presence on Twitter. This process does not have to take up too much of your time—you can simply use tweet schedule tools to pre-write a few tweets and post them at spaced-out times over the whole day. You can build great relationships with your network by paying attention to their online posts. As you start taking notice of their tweets, they will start noticing you and sharing your posts as well. That being said, you must appear sincere and honest. Don’t simply retweet others for the sake of it. Find the leaders in your niche, think about what they’re trying to express in their tweet, and thoughtfully retweet if you believe it provides value for your followers. If you add a short comment to personalize these retweets, you can show them you’re truly engaged with their content. Your Twitter for business marketing is essentially a micro-blog. You should think carefully about the wording of the tweets you post and make yourself stand out. Try rewriting headlines for your posts or adding your thoughts next to them. Or find a quote from a post you enjoyed or wrote and turn that into a headline for a tweet. This shows your followers you are truly engaged with your content. There are many simple and straightforward ways to drive engagement levels upward, but the trick is remembering your deadlines. When someone greets you in reality, you immediately greet them back—the same practice should occur on social media. The sooner you build that connection with your audience, the better their experience will be with your brand. Having an honest engagement by starting real conversations, even online, will go a long way for your business. A great way to get users interested in your brand is to add images to your tweets. By adding infographics, pictures, and videos to your tweets, users will be encouraged to click through and engage with your content. When dealing with hateful or abusive comments on social media, it is always a good idea not to respond at all. Social media allows anyone to say anything they want online, as long as it does not go against the policies of the platform. Unfortunately, many of these comments go unnoticed by Twitter, and it may be your job to report users who are posting spam or hateful messages on your business profile. If your company is getting cyber bullied, do not engage with the user who is offending you. You can block them or report the abusive message, but don’t spend any extra time trying to validate yourself or defend your business against them. In most cases, if you ignore the haters, they give up and go away. Having a solid Twitter strategy for startups is a great way to spread your brand’s message, make a connection with prospective customers, and build a reliable network that constantly engages with your content. There are many helpful tips and analytic tools for the Twitter platform that can make your experience with the social media site more rewarding and purposeful. 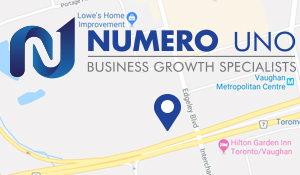 If you need assistance getting started, contact Numero Uno Web Solutions. We provide our clients with many marketing solutions such as SEO, content audit services, online reputation management, Web design and development, and more. We are a content marketing agency in Toronto that specializes in helping small- to medium-sized businesses improve their web sites. For years, we have helped clients across the Greater Toronto Area, Texas, Massachusetts, and Florida boost their marketing strategies and grow their businesses. Call us at 1-855-SEO-XPRT to learn more about the services and expertise we provide at our Vaughan location.